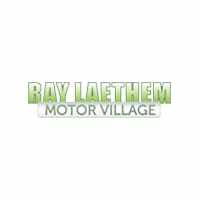 New Jeep Wrangler in Detroit | Ray Laethem CDJ " "
We will deliver, at no cost to you, your new or pre-owned vehicle anywhere in MI, OH, IN, or IL. Call or email for details. *** WE SPECIALIZE IN CREDIT ISSUES *** Mojito! Clearcoat 2018 Jeep Wrangler Unlimited Sport 4WD 8-Speed Automatic 2.0L 4-Cylinder Turbocharged **HAVE QUESTIONS? TEXT US ANY TIME AT (313)327-3563**. We will deliver, at no cost to you, your new or pre-owned vehicle anywhere in MI, OH, IN, or IL. Call or email for details. *** WE SPECIALIZE IN CREDIT ISSUES *** Bright White Clearcoat 2019 Jeep Wrangler Unlimited Sport S 4WD 8-Speed Automatic 3.6L 6-Cylinder **HAVE QUESTIONS? TEXT US ANY TIME AT (313)327-3563**, ABS brakes, Compass, Electronic Stability Control, Low tire pressure warning, Traction control. Recent Arrival! We will deliver, at no cost to you, your new or pre-owned vehicle anywhere in MI, OH, IN, or IL. Call or email for details. *** WE SPECIALIZE IN CREDIT ISSUES *** Gray Clearcoat 2018 Jeep Wrangler Unlimited Sahara 4WD 8-Speed Automatic 2.0L 4-Cylinder Turbocharged **HAVE QUESTIONS? TEXT US ANY TIME AT (313)327-3563**. We will deliver, at no cost to you, your new or pre-owned vehicle anywhere in MI, OH, IN, or IL. Call or email for details. *** WE SPECIALIZE IN CREDIT ISSUES *** Black Clearcoat 2019 Jeep Wrangler Unlimited Sport S 4WD 8-Speed Automatic 3.6L 6-Cylinder **HAVE QUESTIONS? TEXT US ANY TIME AT (313)327-3563**, ABS brakes, Compass, Electronic Stability Control, Low tire pressure warning, Traction control. Recent Arrival! We will deliver, at no cost to you, your new or pre-owned vehicle anywhere in MI, OH, IN, or IL. Call or email for details. *** WE SPECIALIZE IN CREDIT ISSUES *** Crystal Metallic 2019 Jeep Wrangler Unlimited Sport S 4WD 8-Speed Automatic 3.6L 6-Cylinder **HAVE QUESTIONS? TEXT US ANY TIME AT (313)327-3563**, ABS brakes, Compass, Electronic Stability Control, Low tire pressure warning, Traction control. Recent Arrival! We will deliver, at no cost to you, your new or pre-owned vehicle anywhere in MI, OH, IN, or IL. Call or email for details. *** WE SPECIALIZE IN CREDIT ISSUES *** Ocean Blue Metallic 2019 Jeep Wrangler Unlimited Sport S 4WD 8-Speed Automatic 3.6L 6-Cylinder **HAVE QUESTIONS? TEXT US ANY TIME AT (313)327-3563**, ABS brakes, Compass, Electronic Stability Control, Low tire pressure warning, Traction control. We will deliver, at no cost to you, your new or pre-owned vehicle anywhere in MI, OH, IN, or IL. Call or email for details. *** WE SPECIALIZE IN CREDIT ISSUES *** Black Clearcoat 2018 Jeep Wrangler Unlimited Sahara 4WD 8-Speed Automatic 3.6L 6-Cylinder **HAVE QUESTIONS? TEXT US ANY TIME AT (313)327-3563**. We will deliver, at no cost to you, your new or pre-owned vehicle anywhere in MI, OH, IN, or IL. Call or email for details. *** WE SPECIALIZE IN CREDIT ISSUES *** Mojito! Clearcoat 2019 Jeep Wrangler Unlimited Sport S 4WD 8-Speed Automatic 3.6L 6-Cylinder **HAVE QUESTIONS? TEXT US ANY TIME AT (313)327-3563**, ABS brakes, Compass, Electronic Stability Control, Low tire pressure warning, Traction control. We will deliver, at no cost to you, your new or pre-owned vehicle anywhere in MI, OH, IN, or IL. Call or email for details. *** WE SPECIALIZE IN CREDIT ISSUES *** Gray Clearcoat 2019 Jeep Wrangler Unlimited Sport S 4WD 8-Speed Automatic 3.6L 6-Cylinder **HAVE QUESTIONS? TEXT US ANY TIME AT (313)327-3563**, ABS brakes, Compass, Electronic Stability Control, Low tire pressure warning, Traction control. We will deliver, at no cost to you, your new or pre-owned vehicle anywhere in MI, OH, IN, or IL. Call or email for details. *** WE SPECIALIZE IN CREDIT ISSUES *** Bright White Clearcoat 2019 Jeep Wrangler Unlimited Sport S 4WD 8-Speed Automatic 3.6L 6-Cylinder **HAVE QUESTIONS? TEXT US ANY TIME AT (313)327-3563**, ABS brakes, Compass, Electronic Stability Control, Low tire pressure warning, Traction control. We will deliver, at no cost to you, your new or pre-owned vehicle anywhere in MI, OH, IN, or IL. Call or email for details. *** WE SPECIALIZE IN CREDIT ISSUES *** Black Clearcoat 2019 Jeep Wrangler Unlimited Sport S 4WD 8-Speed Automatic 3.6L 6-Cylinder **HAVE QUESTIONS? TEXT US ANY TIME AT (313)327-3563**, ABS brakes, Compass, Electronic Stability Control, Low tire pressure warning, Traction control. We will deliver, at no cost to you, your new or pre-owned vehicle anywhere in MI, OH, IN, or IL. Call or email for details. *** WE SPECIALIZE IN CREDIT ISSUES *** Ocean Blue Metallic 2019 Jeep Wrangler Unlimited Sahara 4WD 8-Speed Automatic 3.6L 6-Cylinder **HAVE QUESTIONS? TEXT US ANY TIME AT (313)327-3563**. We will deliver, at no cost to you, your new or pre-owned vehicle anywhere in MI, OH, IN, or IL. Call or email for details. *** WE SPECIALIZE IN CREDIT ISSUES *** Ocean Blue Metallic 2018 Jeep Wrangler Unlimited Sahara 4WD 8-Speed Automatic 3.6L 6-Cylinder **HAVE QUESTIONS? TEXT US ANY TIME AT (313)327-3563**. We will deliver, at no cost to you, your new or pre-owned vehicle anywhere in MI, OH, IN, or IL. Call or email for details. *** WE SPECIALIZE IN CREDIT ISSUES *** Crystal Metallic 2018 Jeep Wrangler Unlimited Rubicon 4WD 8-Speed Automatic 3.6L 6-Cylinder **HAVE QUESTIONS? TEXT US ANY TIME AT (313)327-3563**. We will deliver, at no cost to you, your new or pre-owned vehicle anywhere in MI, OH, IN, or IL. Call or email for details. *** WE SPECIALIZE IN CREDIT ISSUES *** Crystal Metallic 2019 Jeep Wrangler Unlimited 4WD 8-Speed Automatic 3.6L 6-Cylinder **HAVE QUESTIONS? TEXT US ANY TIME AT (313)327-3563**, ABS brakes, Compass, Electronic Stability Control, Front dual zone A/C, Heated door mirrors, Illuminated entry, Low tire pressure warning, Remote keyless entry, Traction control. We will deliver, at no cost to you, your new or pre-owned vehicle anywhere in MI, OH, IN, or IL. Call or email for details. *** WE SPECIALIZE IN CREDIT ISSUES *** Ocean Blue Metallic 2019 Jeep Wrangler Unlimited 4WD 8-Speed Automatic 3.6L 6-Cylinder **HAVE QUESTIONS? TEXT US ANY TIME AT (313)327-3563**, ABS brakes, Compass, Electronic Stability Control, Front dual zone A/C, Heated door mirrors, Illuminated entry, Low tire pressure warning, Remote keyless entry, Traction control.